I can’t believe the holidays have come and gone. Can you believe it is already 2012? It is so true the older you get the time just keeps going faster and faster. Even though the holidays are gone I could not resist posting one last recipe from the holidays. This is a recipe that I use every Christmas and sometimes for birthday parties or whenever I am serving a larger crowd. My sister gave me this recipe years ago and I am not sure where she found it. This shrimp dip is super easy and super fast to make. Plus everybody gobbles it up; it is one of my families favorite dips. Even those that don’t eat shrimp normally like this dip. The combination of the cream cheese, shrimp and the cocktail sauce makes this a tasty dip. 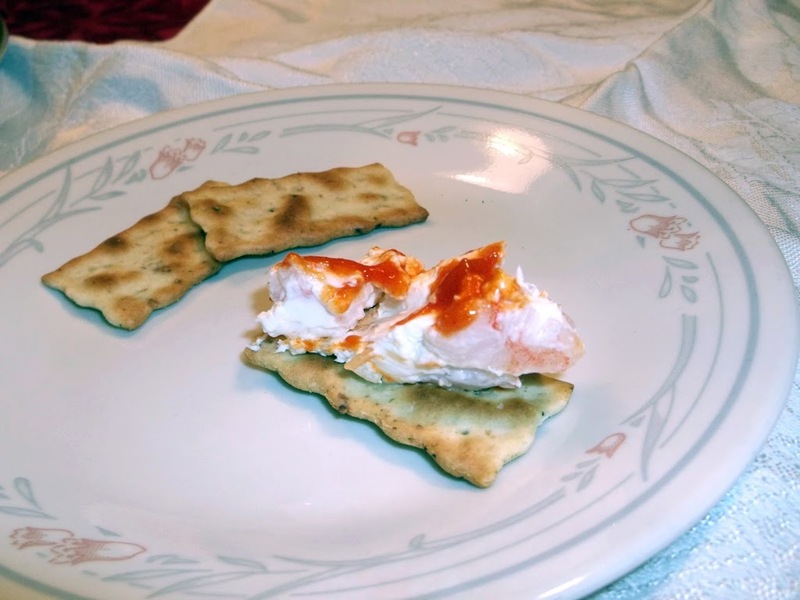 I like to serve it on crackers, but you can serve it on whatever you like. You will have a hard time to stop eating it. So the next time you are having a get together, party or whatever occasion it is I hope that you will give this recipe a try. It won’t take too long to prepare and your guest and family will love it. In a large bowl beat cream cheese with an electric mixer until creamy and fluffy. Add onion and Worcestershire sauce beat until well blended. Fold in the chopped shrimp until mixed well. Spread on platter or large plate. 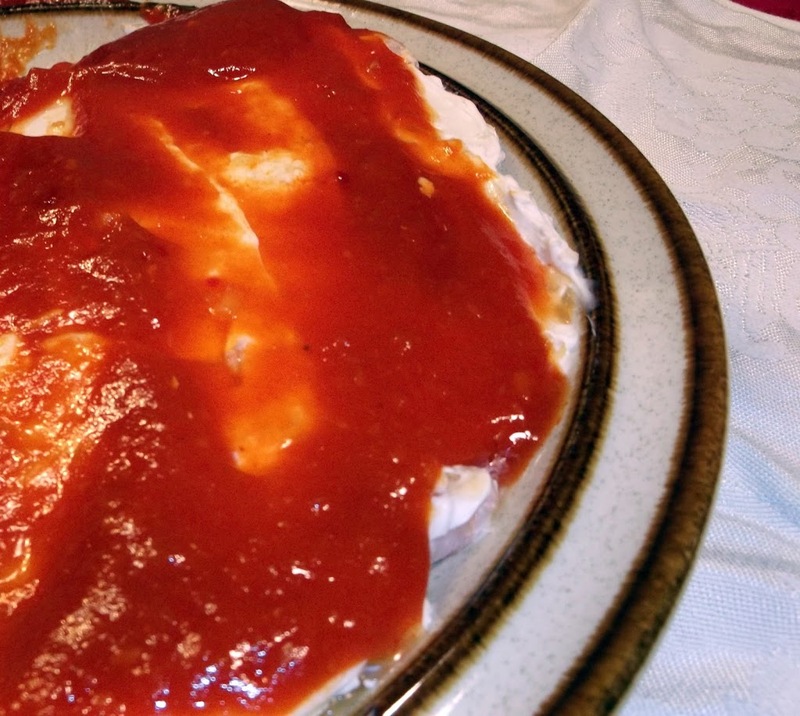 Top with cocktail sauce and serve with crackers. Enjoy! Happy New Year! This shrimp dip looks delicious, easy and so tasty. 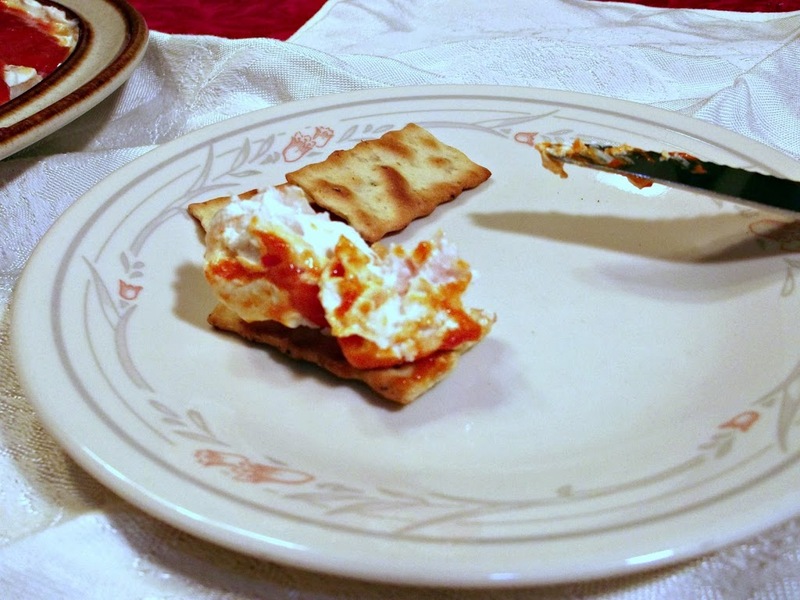 Cream cheese and shrimp sounds like a delectable combo! I would get right to work gobbling this up. Happy New Year! I haven’t had this dip for such a long time… thanks for reminding me how delicious it is. It looks so tasty.